Black Coffee. Photo courtesy of the artist. Black Coffee: "Music Is a Positive Thing. It Goes Where Religion & Politics Can't. It's Very Important to Always Carry That." 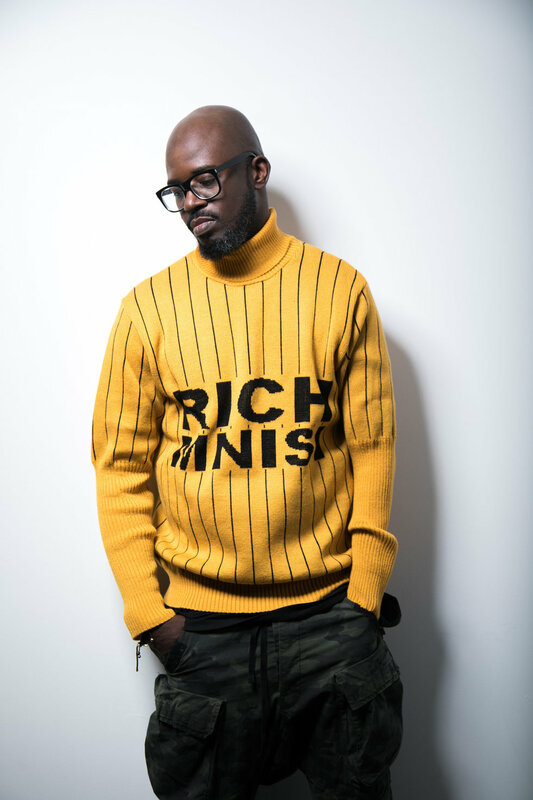 We sit down for an exclusive interview with superstar DJ and producer Black Coffee about pushing African music to the world. 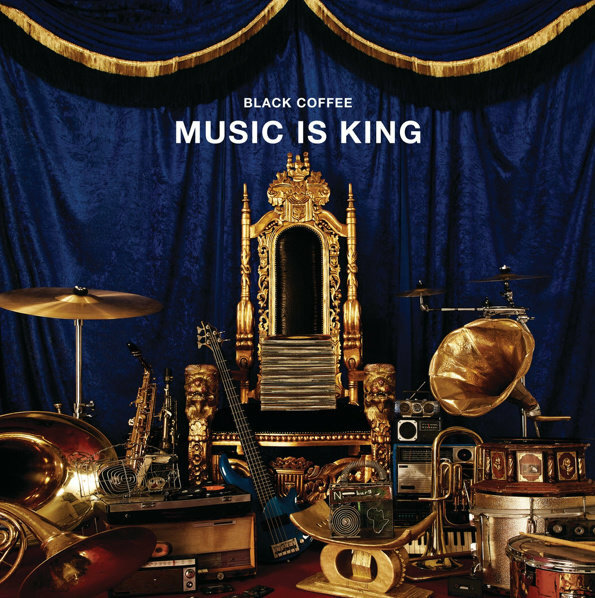 As I walk into the room, Black Coffee stands up and introduces himself as if I do not already know who he is. But as we talk inside the studio of one of Johannesburg's biggest radio stations with his photographer taking pictures, it is evident I am breathing the same air as an A-lister. As someone who regularly appears on the covers of international magazines, the 47-year-old is no stranger to interviews. Born Nkosinathi Maphumulo, Black Coffee rose to the to the pinnacle of South African house music industry with albums such as Have Another One, Home Brewed, Africa Rising and Pieces of Me before blowing up across Africa and the world. He recently won the Best Deep House DJ for the 3rd time in a row at the DJ Awards in Ibiza, Spain, performed full sets at Coachella, Tomorrowland, New York's Terminal 5, The Apollo Theatre and Sonar Festival in Barcelona not to mention securing a residency in Las Vegas and Hi Ibiza, as well as starting an African music streaming site, GongBox. He also currently has a chart topping single entitled Drive with David Guetta, making it his second entry on the Billboard charts since Get It Together featuring Drake and Jorga Smith in 2016. The year has been a massive one for the DJ and producer who is a constant influence in the fashion industry, often seen hanging out with designer and DJ friend Virgil Abloh. He is currently preparing for his star-studded concert, Music Is King, which will feature headline artists such as Swizz Beatz, Nasty C, Ricky Rick, Lady Zamar, Burna Boy and many more. We sat down with the star for an exclusive interview. Black Cofffee. Photo courtesy of the artist. You are in the final stages of putting together your first annual concert 'Music Is King.' You've spoken about how it is something you have been dreaming about and working on for a very long time because of your experiences at festivals in Morocco and performances on stages like Coachella, why is it so important to you? It's basically bringing something back to the music culture at home. Investing back in one's self. You know we always do other people's shows so I guess if I were to do my own show, who would I bring? What is my dream show? That's what I'm saying. Eventually it would be nice to get to that level where it's a festival and I can bring whoever I think is dope to be part of that. You recently performed at Coachella, Las Vegas and Tomorrowland to name a few. What was the reception like and how do you think African music is perceived in these predominantly white spaces? Coachella is a place where it's about music and I haven't been put in an 'African' music corner. I've played there twice and you know you just blend in. The stage I did this year was headlined by Jamiroquai and you know Jamiroquai isn't American either so it's not like you're from Africa or England, it's just one space for music and it just basically depends on how well received your music is. How was yours received, was it difficult? Coachella is one of those places where it's really tough to perform because all the stages have timetables and people literally move to go to people's stages so if no one knows you, no one will move to your stage basically. You can see an act before you selling out that stage but when they stop performing people literally take off and go to another stage. Experiencing it the way that I did and having a full floor was something really amazing to me and it showed that the music is really universal. It's not about it being African or anything—it's really universal. Western and European artists are using African beats in a lot of their music now spurring conversation about appropriation. What is your take on that? The West have been using a lot of African things for centuries. It's not a new conversation. Most of our African artists enter Europe. Most of our African designs are selling better in Europe than they do in Africa. One thing that is always clear is music, when it's African it is African. We still have the power and it's something they can't just duplicate, that is ours. And there's nothing wrong with it growing. There has always been different types of music that would come, I remember back in the day Kanye doing a concert with classical music you know and everyone marvels at it because it is music at the end of the day, you use whatever elements you feel like you can use to give it a different experience. It is just that it needs to be done right and I feel like the world is waking up to the beats as you were saying. It's just that we also need to bring it to the west rather than the west coming and taking it and recycling it. "One thing that is always clear is music, when it's African it is African. We still have the power and it's something they can't just duplicate, that is ours." It takes understanding the platform—that the platform is bigger. For us to make it to that level we need to come in a certain way. We need to collaborate in a certain way. We need to change certain lyrics to feed the global conversation and the global reach because what I find with most of us is that we still sing in our own language and the song is really amazing but it can only go so far and sometimes we can sing in our language then get a feature singing in English so that the song can travel further. So, we need to understand all these dynamics so that we can be the ones that are taking our music further. That's what we need. Earlier this year with the Black Panther soundtrack we saw Babes Wodumo and Sjava singing in their own language. Is catering to the West not the same as "selling out"? Well, we are speaking English right now. We are not selling out. We are speaking English because we want the world to hear and understand what we are saying. That's all. I mean if you write a song in English you want the world to hear what you are saying. You know it could be a song about fighting poverty but if no one understands the language but you want the world to fight poverty are you really then winning in what you are trying to achieve? And I mean understanding music, Gqom is electronic music, it's just programmed in a certain African way. It [Gqom] is not African, it's just that the style is particular to a place like Africa when our lingo is added as lyrics. If you listen to Gqom music before anyone says anything, it's electronic music and you know electronic music is electronic music, it's Western, and it's not our thing. So we live in a global world where there is a very thin line in what's ours and what's not. You know we grew up listening to Jazz, and our great great great big artists were doing jazz but then hip-hop came and those great great artists in South Africa were saying 'Why are you doing this American music?' But jazz itself was never an African thing. There is a very thin line in dividing and explaining all these genres. I think the core and the goal is 'How do I take my message across?' And like I said we speaking in English so that the world can hear and in music we need that otherwise we end up being boxed. Boxed in the sense of you go to a big club and then there's a 20 minute set of "Just play some African music" and it's African because they don't really understand what we are saying, they just like the groove. And then it's just one thing. But it would be nice to hear African music on the peak hour set, where it's not boxed into a small section. You know you hear like a Black Coffee song on the main stage because people can understand and sing along. I think that's where we have always fallen short where we are like "We are proud" or "We are selling out" but we want to be international. If you want to be, find ways. I'm not saying don't sing in your own language, I'm saying if you are then collaborate with someone who is going to sing a different verse explaining the song. "It would be nice to hear African music on the peak hour set, where it's not boxed into a small section." One of the songs that is a big example for me that we grew up singing is Youssou N'Dour and Neneh Cherry "7 Seconds." We grew up all singing that song and we don't even know what Youssou N'Dour is saying but we know it's beautiful, but it was positioned in a way that it could reach the global market. It became a big hit on TV and on radio because it was done in a way that it could expose both. And that's the space that I think we need to get into as African artists where we are like, 'okay we want the crossover' so how do we go ahead and do it? If you are comfortable singing in your language and singing in your language makes you even better, cool, do it. Then you collaborate with someone who is going to sing with you and express it in a language that everyone is going to understand. You mentioned how we create music to send a message, Global Citizen—where you have just been announced as a headlining act—are working on sending messages to the government, asking them to make changes in the world. How do you separate yourself as an artist and as a person of influence where people have certain expectations of you to speak out about certain things? As long as I'm outside my house I'm an artist. I am a father at home but as long as I am outside doing interviews, performing, I am an artist. It's never about me taking sides, it's about me doing what artists do and we unite people. This is why there is 'Music Is King', we unite people that wouldn't likely be in the same room. Since the beginning, if you look even in the history of South African music there were times when artists would create platforms in the worst times where they would unite people. It's been happening for years. I don't feel like I need to wear different caps as an artist. Music is a positive thing always and one thing that has more influence and goes where religion and politics can't and it's very important to always carry that. You speak about music uniting people. It has been said that you 'create works that are acceptable to both the young and the old' like you did with the Hugh Masekela "Stimela" remix. In my own personal experience, my mom was the one that told me about your current single with David Guetta, "Drive." Yeah, so how do you find your inspiration in bringing people of all ages together and not just catering for the younger generation as a DJ where music is mostly played in clubs? I don't even look at it like that when creating music. For me I always look for beauty in music you know. If I'm feeling down, what song would I listen to that would make me feel better? If I'm in love, what song would I want to listen to as someone in love? I create from that space. That's why you will never find a song that is angry or is fighting or degrading women. I don't care how cool it is because we live in that era where women will actually sing a degrading song towards themselves and they like don't care because it's a good song. I see the power of house—what a good song can do even when degrading. I however choose to sit on the side where it can only build. It can only be positive. It can only bring beautiful memories. It can only inspire. It can only be beautiful. So I create from that space and then people will then pick it up from there whether they are young or old because it makes them feel a certain type of way. That's what music does, it makes you feel a certain type of way then when the words are right then everyone relates to it so I always create from that point. I don't say I'm doing it for the millennials. I don't think like that. I go straight to the feelings, you know. I create music for the feelings. How did your collaboration with David Guetta on "Drive" come about and how do you feel about the reception it has gotten? I was listening to one of the youth radio stations the other day and so many DJs have made a mix with the song. It's really amazing, man. I just don't have the right numbers but it has been on the top of I think 150 most Shazam'd songs in the world. That's a big number for me you know doing what I do. We had been talking with David and my management and his management about doing a song together and eventually we got around and booked a studio in LA and worked on the song and that's how it came about and we just went in and tried by all means to make it balance. In the song you hear me and you hear him [David] on the song which is the most challenging thing to do, but it worked it. It worked really well. Through your work you've secured a spot both home and abroad as one of the biggest DJs. When was the first moment that you realized how far your music had reached? Did you have a big realization moment about your influence? It's still coming, to be very honest with you (laughs). There have been significant points growing up in the industry and understanding 'Oh wow this is big!' Like I just said with "Drive" we were told top 150 most Shazam'd songs. That is a step for me. It's new and big! But before then doing a song with David Guetta is a milestone on its own. Like, wow! But then you keep it moving you know. What's next? So it's a series of different things you know that got me here and I think there's still a long way to go you know there's still so much to do and based on what I was saying earlier about collaborations and making sure they sound right eventually you don't have 'South African House Music' you have house music. You can start just hearing a song on a radio station in Germany where you don't say it's a South African music song it just blends in. Because when you heard Drake they don't say "That's a Canadian" it's Drake! I would like for our music to get to that level where it blends in with everything that's happening without it being marginalised to "awwwe that's an African thing," you know I think that's the point. With the world being so globally interconnected it's easier for young people to make music and share on sites like Soundcloud and Apple Music globally. Do you think there is a form of disconnect in the way young people are making, releasing and receiving music? I mean you studied jazz and were a backup singer in an Afro-pop trio called SHANA before becoming a sold out DJ. There is and there isn't. We can use technology to really fast track things. When I look at how long it took David's career to take off like you would see his pictures he was young and playing in clubs, it took him long and then there's Martin Garrix, who's a kid who started very early as well as a kid but made it quite early because of the internet and exposure and how much quicker it is now to pass on the message. So, there are good things about the internet today—how interconnected the world is—and we can only use that to our advantage. You are known to collaborate with a lot of young people. Recently you worked with Shekhina on Your Eyes. Which other young person are you looking forward to collaborating with in the near future? I'm working with a lot of people. There's a girl who sang a rendition of Buya on twitter—Yolanda. I'm actually featuring her at the Music Is King concert. For me, I mean I want to try and help as much as I can and obviously I can't do everything. Black Coffee has also recently made the transition to film producer in the film 'Matwewtwe' which is currently being screened at the first Africa Rising International Film Festival in celebration of Global Citizen week. Music Is King take places on the 15 December with acts including Swizz Beats, Burna Boy, Nasty C, Lady Zamar, Ricky Rick, ME and many more.